People looking to buy a static caravan in North Wales often begin their search of Static Caravans for sale in Towyn, which is one of the most popular resorts in the area. It’s an ideal holiday destination for families and indeed anyone looking for a traditional British seaside holiday. Centrally located, Towyn has good road and transport links to other parts of Wales if you have time to explore away from the resort, though it might take you more than a week to experience everything that Towyn has to offer! The beach is the main focus in Towyn offering virtually every water sport you can imagine, golden sands and of course, there are fish and chip shops, amusement arcades and a Leisure and Amusement Park with fantastic rides, go-karts and a host of other fun fair activities. Near to Towyn, the Welsh Mountain Zoo is a wildlife park as well as home to many exotic species including snow leopards, sea lions, falcons, apes, penguins and a Sumatran tiger. There are also sea aquariums within easy reach at Anglesey and Rhyl. This park is a quiet rural retreat, far enough away from where the action is but near enough to enjoy all the facilities of the area. There are caravans for sale on Sirior Bach Caravan Park (Abergele) via us or directly from the site. You can also buy luxurious holiday lodges there. This park is exclusive to owners so there won’t be any rowdy rental parties there. A busy family orientated Holiday Park; there is a comprehensive range of activities and entertainment for all the family to enjoy. With a restaurant, bar and shop there is no need to leave the park unless you want to. If you want a pitch on Golden Gate Holiday Centre we can assist you. This is a great holiday park for all the family again with a huge range of facilities and activities. 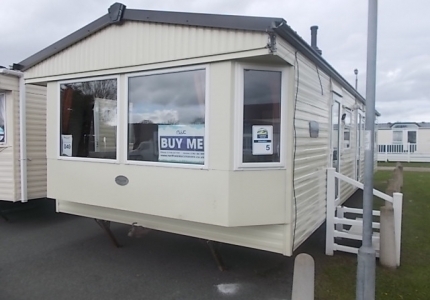 You will find caravans for sale as well as lodges at Whitehouse Leisure Park. We can also site your caravan on this park if you choose a pitch there. These are just a few of the parks on which we can arrange a pitch for your caravan. Contact us for more information on caravans for sale in Towyn or other parts of North Wales and about more holiday parks in the area. We still have around a fortnight left on our Blue Cross Sale so why not take the opportunity to bag a bargain? And don’t forget to ask about our caravans for sale that are already located on a holiday park.